I have started a tradition of seeking out thrift or consignment stores when I am on vacation, in order to find a souvenir. It is a nice way to avoid touristy memorabilia, explore a city's second-hand scene, and get some awesome clothing. Based on what I've seen so far, I think Denver might hold my top spot for second-hand finds. Thanks to a recent trip to Amsterdam, I finally got to implement this system internationally, rather than just domestically, and used Yelp to try and narrow down where I should go. 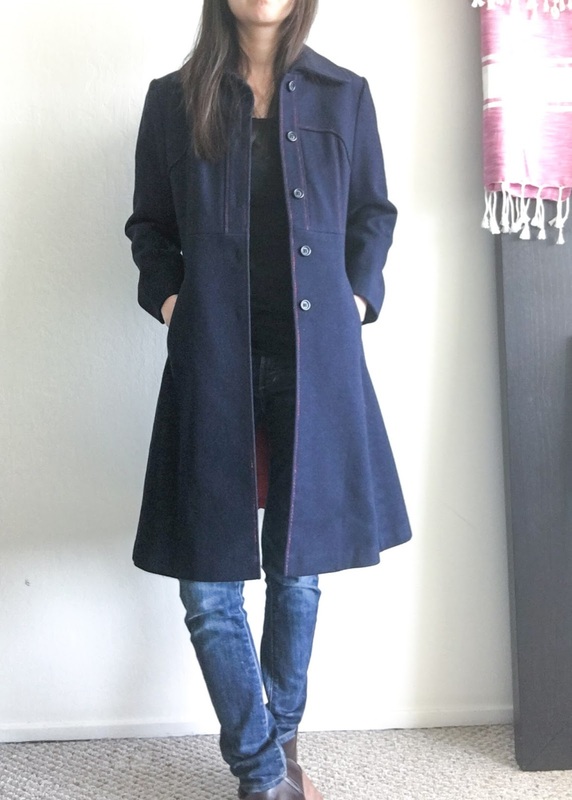 This coat is from Wini Vintage, which honestly, was pretty darn similar to a consignment store I might find in the Bay Area. It is an awesome mini-caped wool coat that fits perfectly. 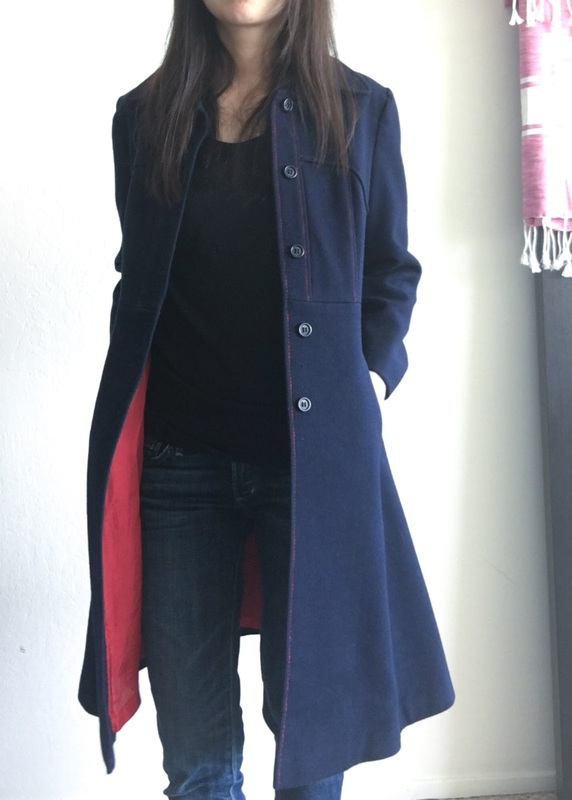 Not only that, but it has a charming red lining, that peaks out when you wear the coat unbuttoned. 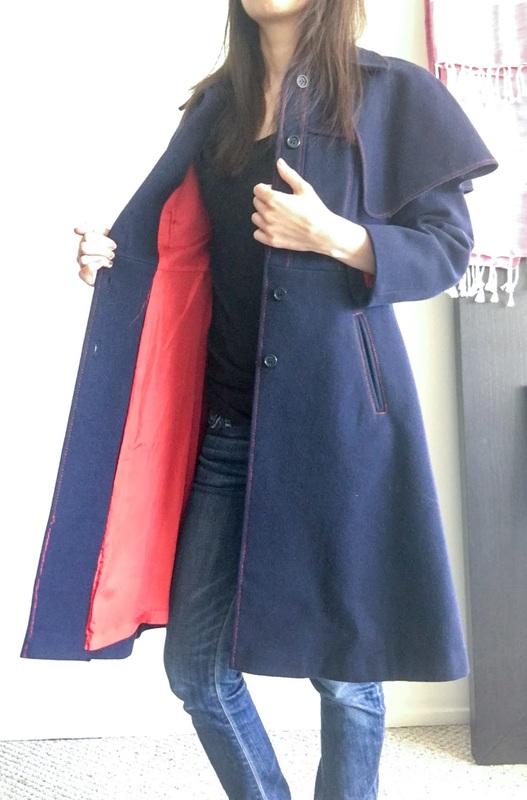 The sewing on the outside of the coat is also red, but is pretty innocuous until you see it next to the red lining. 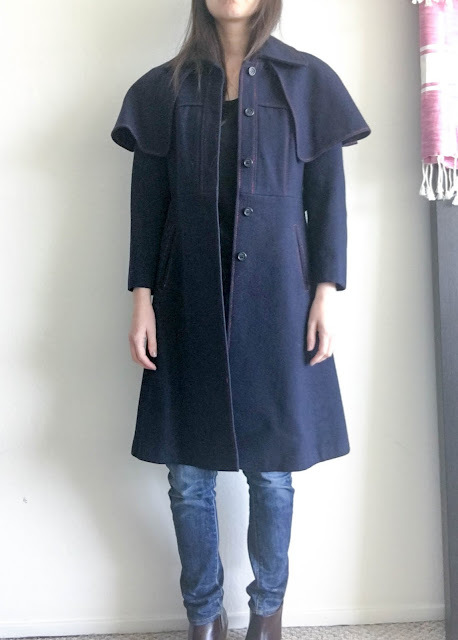 The woman working at Wini Vintage was really helpful and not at all pushy, and when she saw me trying this on, she brought a few other coats she thought would look good. 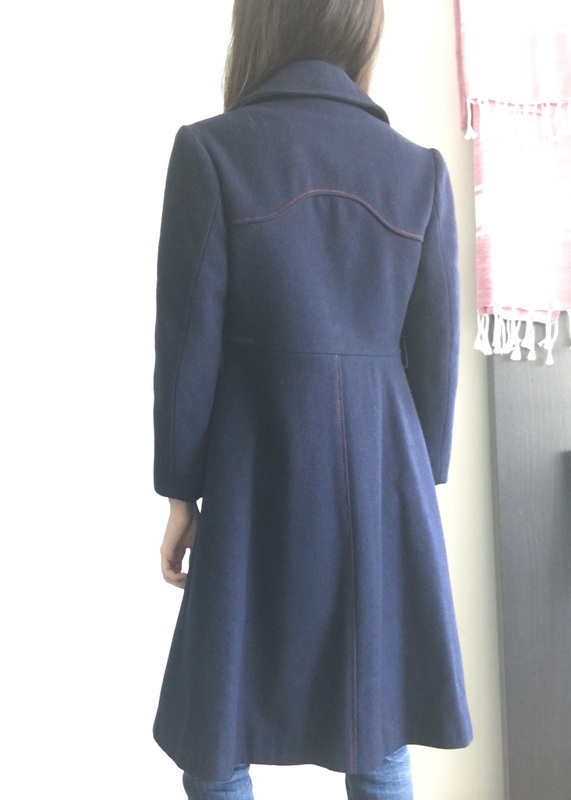 There was one more, military-inspired coat I really liked but since I did only carry on luggage, and didn't really need two more wool coats, sacrifices had to be made. I really like the little cape, but, who knows how I'll feel about that design element years from now. 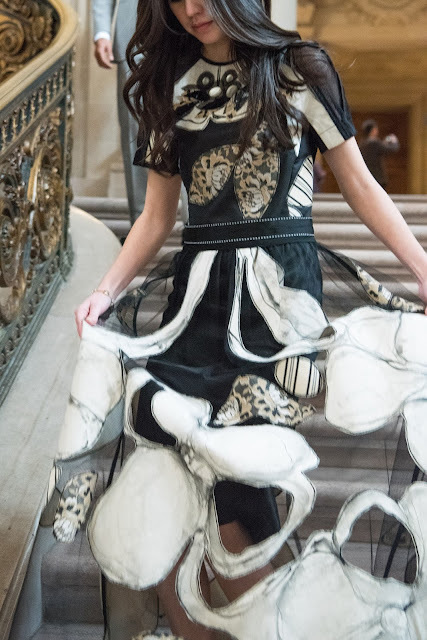 Luckily for me the cape is detachable! 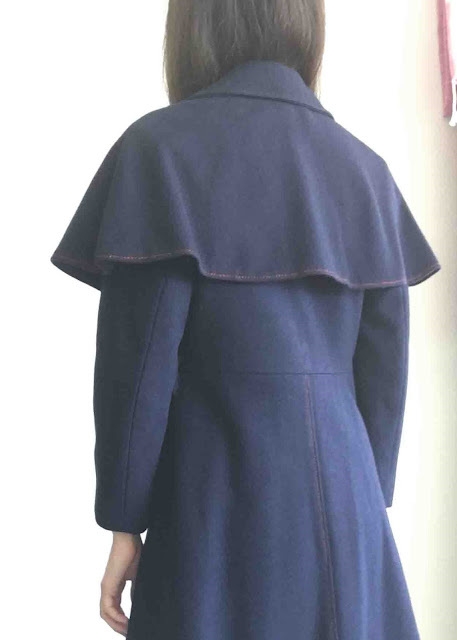 Affixed with three buttons hidden behind the collar, and when removed, the coat is streamlined and sharp looking. There is no brand label on the inside, but it does still have the tag letting me know it is made of wool. How do you shop for souvenirs, and what are some of your favorite finds? You'll have to let me know if you make it there and find anything! I hope you do! 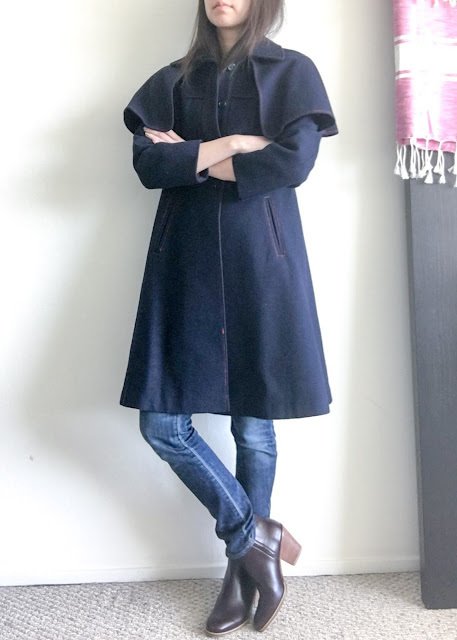 Super cool coat. Going to thrift or consignment stores sounds like a great way to get really distinctive souvenirs from your travels. I don't go off the beaten path too much with souvenirs, myself. I really like buying small cute things from night markets in Taiwan or the trendy college-student-geared shopping areas in Seoul. Other than that, I've been buying a lot of skincare products on my most recent international trips. Thanks! Skincare products also sounds like a really good way to get something a little outside of what you could at home, but also fun to treasure hunt for.